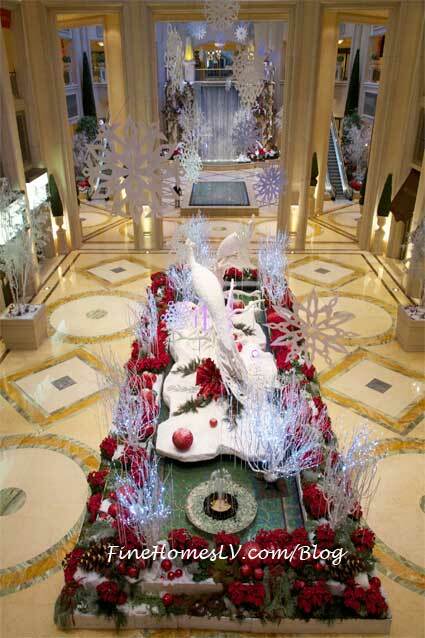 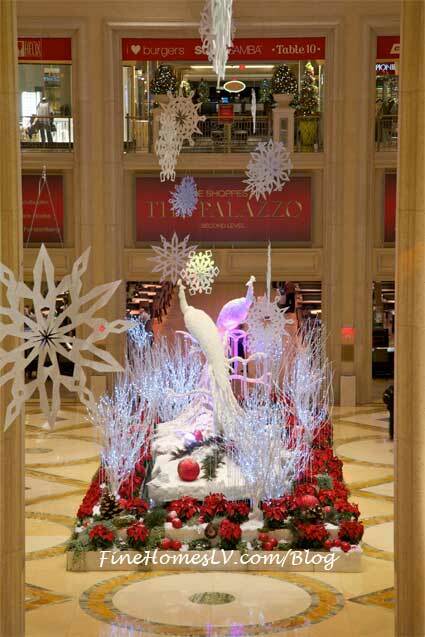 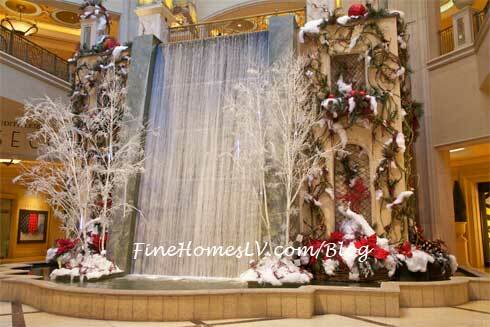 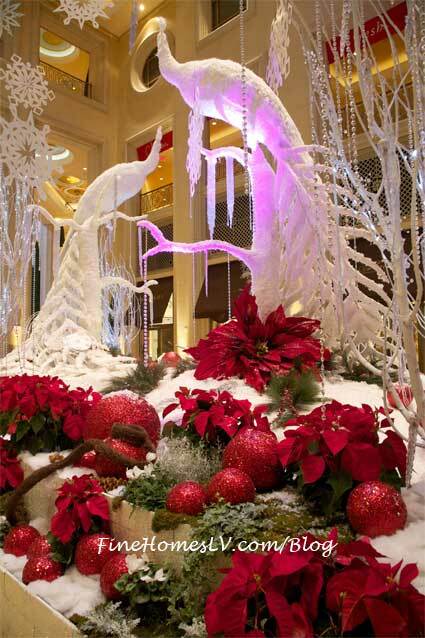 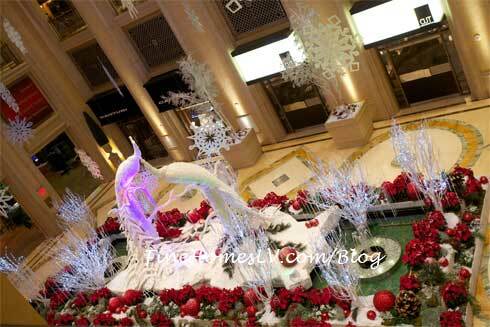 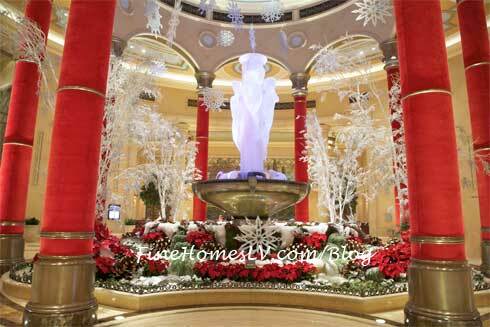 Winter displays at the waterfall, atrium & gardens at The Palazzo Las Vegas have their final touches in place today for the annual Winter in Venice celebration. 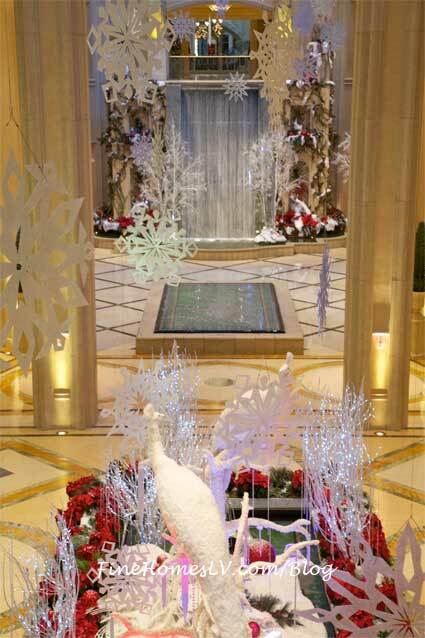 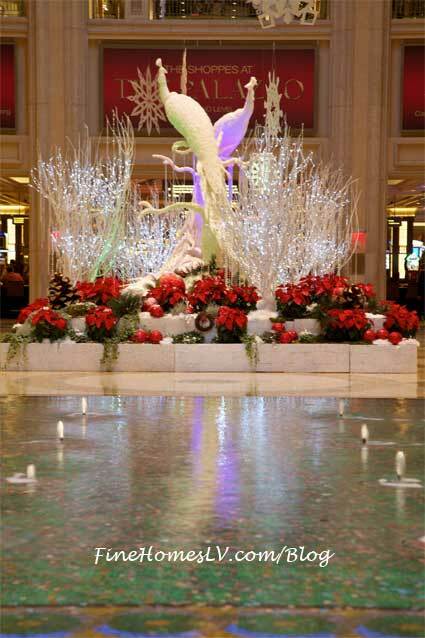 Traditional red beaded ornaments, pine cones and fresh poinsettias line the gardens of the three-floor-high atrium as 16-foot, hand-crafted white and pearl peacock statues sit atop The Palazzo’s ground fountains. 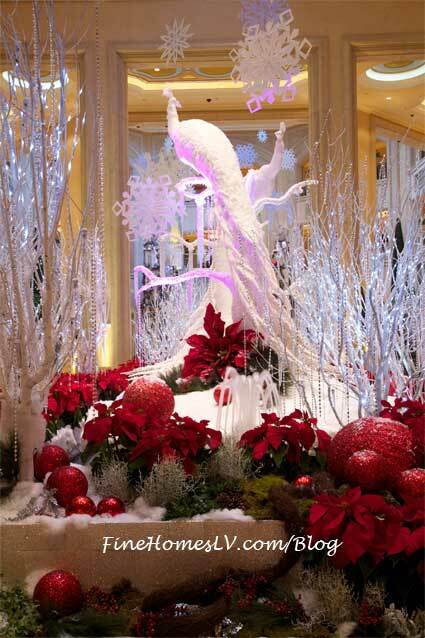 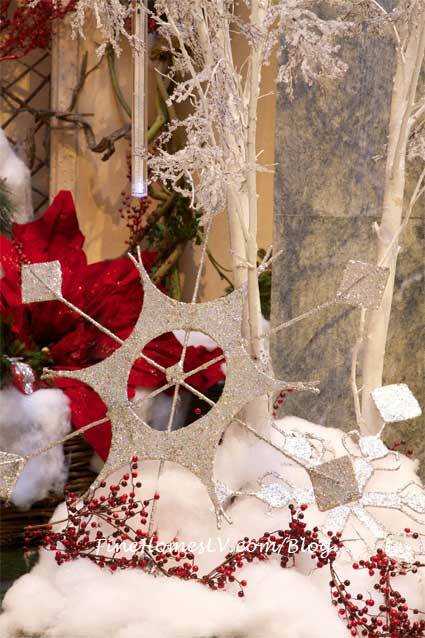 The whimsical winter display is surrounded by hand-designed snowflakes suspended midair, ice branches and 20-foot frosted birch, pine and glittering trees. 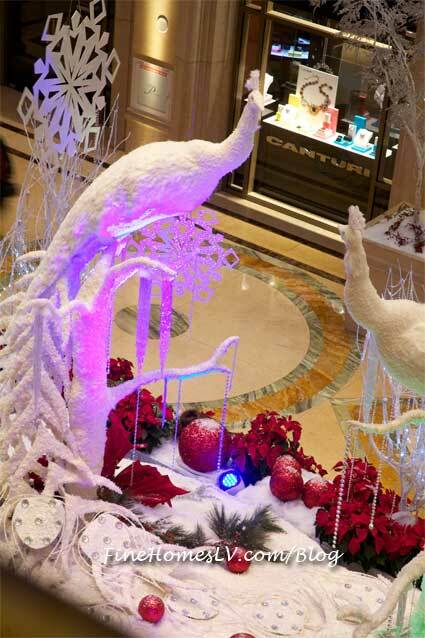 Guests are invited to enjoy one of the resorts’ festive Winter in Venice cocktails while enjoying the distinctive scenery including the popular Gondolier Blanco served at The Venetian and The Palazzo’s bars and lounges. 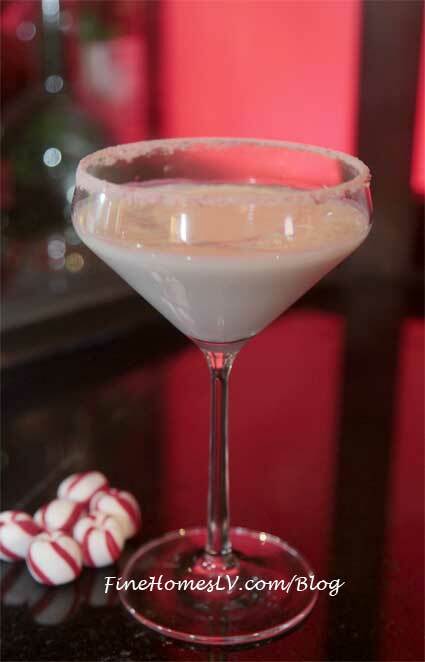 Shake and strain into candy cane rimmed martini glass that has been swirled with chocolate syrup.